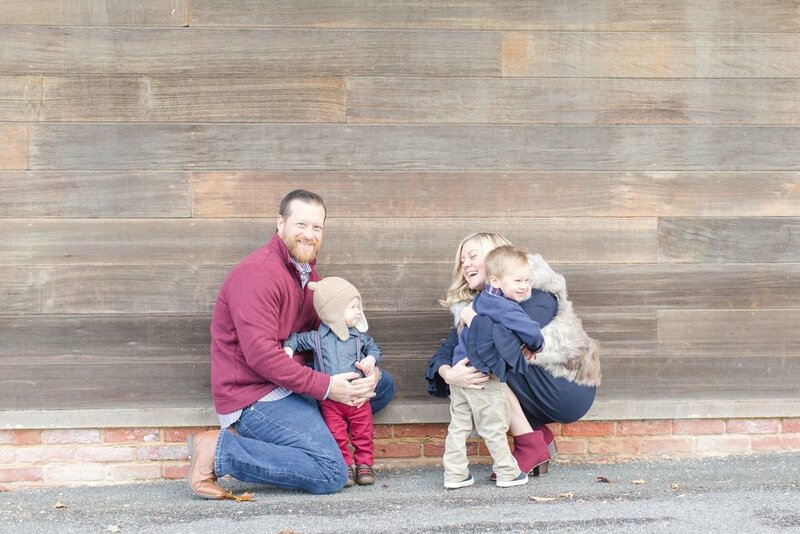 The last time you saw this family on my blog was when Stephanie was pregnant with Wyatt! Now the sweet little red-head is running around and loving every minute. 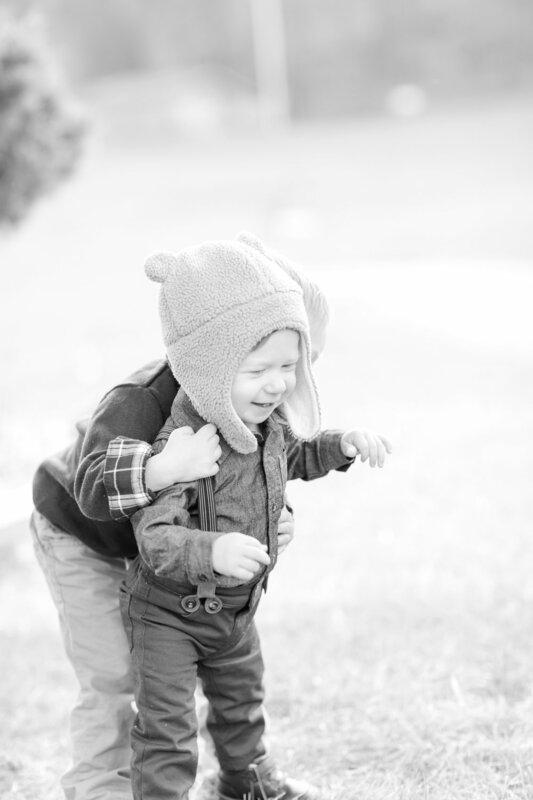 It was a brisk fall day when we did the Andrews family session at Oregon Ridge; hence the adorable bear hat! Owen didn't seem to mind and loved throwing leaves at everyone in the family. There is so much joy and love in this family. 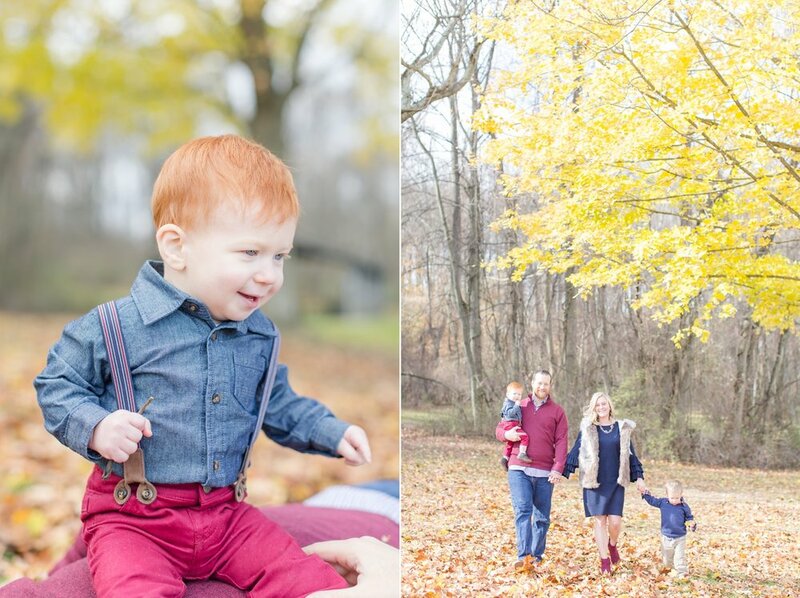 Enjoy these images from the Andrews fall family session! 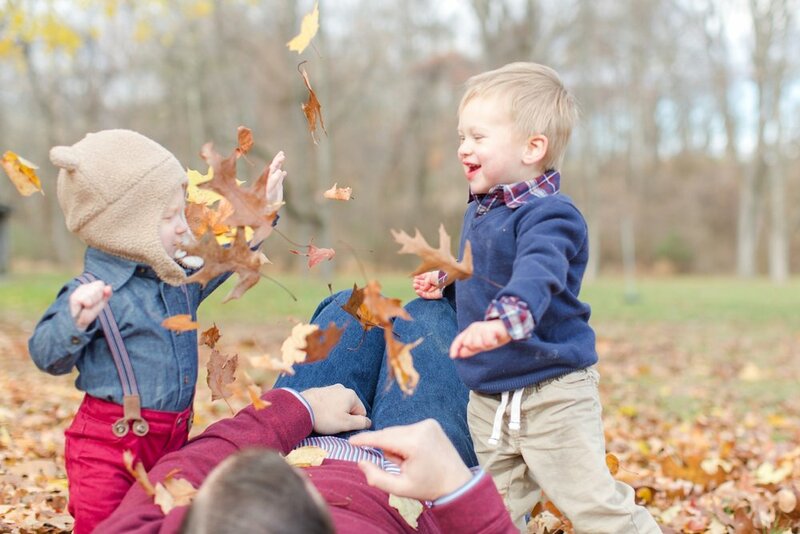 We said, "Throw leaves at Daddy!" Haha! You four are adorable! The lollipops are precious. Gotta capture this stage of life! 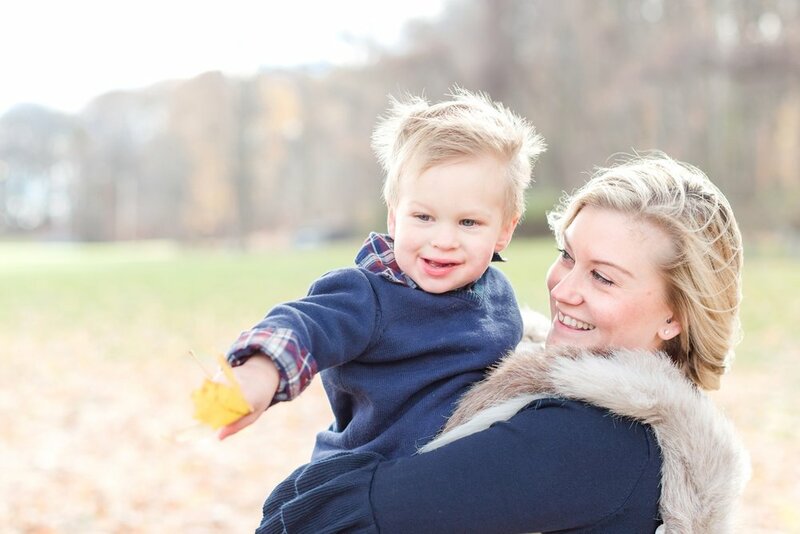 Want to see another adorable fall session? 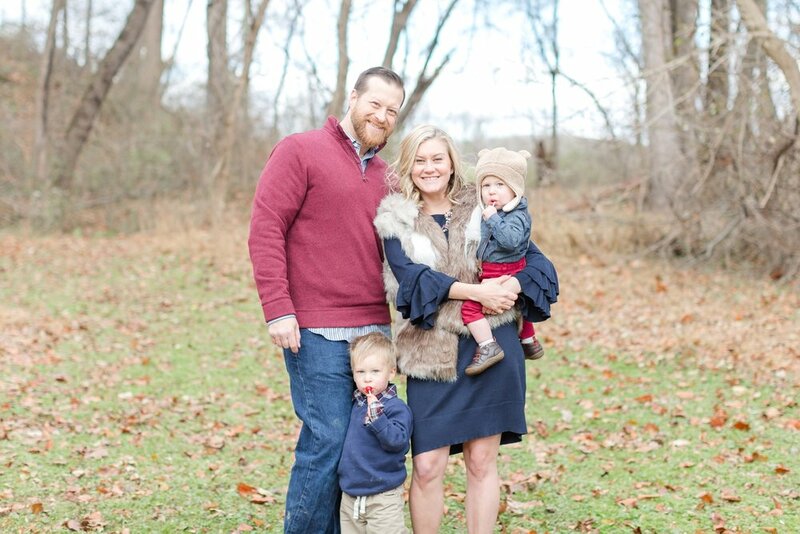 Check out the Weltchek's family session!